Trekking and mountaineering on Mount Kenya at 5199 metres. This is the Matterhorn of Africa. We start in a magnificent forest; climbing or walking at a height of 5199 mt. Being in such an ambience of endless space is a unique experience. Being a long way from the chaos of "Kenya" we get a much closer feel for what the country really is not least through contact with the local population "Kikuyu" who accompany us as porters for the entire trip. 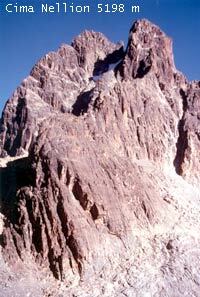 Difficulty: trekking to the Lenana peak then climbing (max 5th grade) to the Nellion peak at 5199 meters.